Great Location! 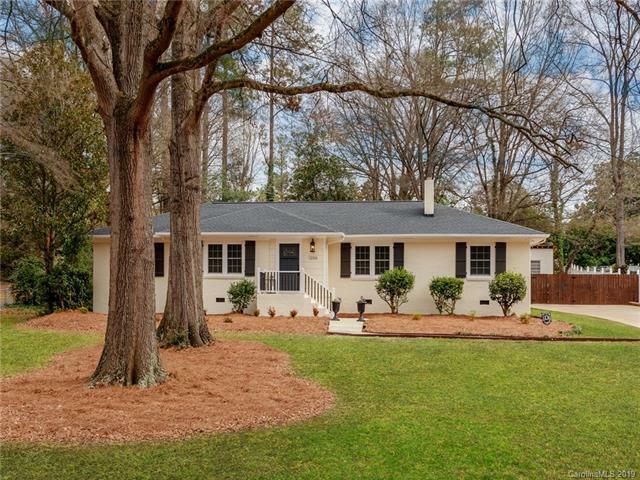 Beautiful newly renovated 3 bedroom (w/ possible 4th) 2 1/2 bathroom ranch home on large lot in well established community near Winthrop University. Amazing updates, too many to list. New; granite counters , SS appliances, high-end soft close kitchen cabinets w/ built in pantry w/ drawers. Additional bar / entertainment area great for entertaining. All New windows & solid interior doors & w/ emtek knobs/hardware punch code. Beautifully finished hardwood floors. Kid & Pet friendly LVP in rec room areas. Custom molding/ woodworking through out. Painted all interior & exterior. Large rooms ; rec,living,dining rooms. 3 fireplaces , laundry room/mud area.Lots of natural light throughout home. Roof 2019, hvac 2014 , water heater 2009. Shed 2018 . NO HOA. Convenient to downtown Rock Hill & shopping/dining and i 77. Hurry set up your showing today !